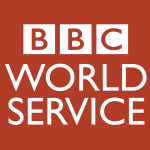 Gabriella Leon featured on the BBC WorldService Why Factor’s show on Noise. Coming to our Harley Street Hearing Therapist Gladys Akinseye for a consultation, Gabriella was clearly in distress about her tinnitus and hyperacusis; her Tinnitus Functional Index (TFI) score was acute. She’s had further sessions of therapy and now has had a significant reduction to make her TFI in the small problem range. If you’d like to see one of our highly trained Hearing Therapists about your tinnitus please don’t hesitate to contact us.